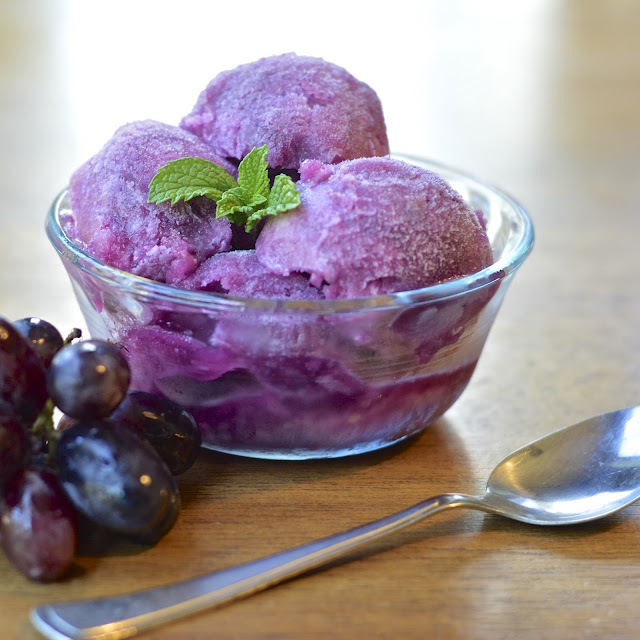 This grape sorbet is made with fresh black grapes, simple syrup, a touch of lemon and gelatin. Yes, I said gelatin. Low and behold, I learned this trick at myrecipes.com. I have never bit the bullet and bought an ice cream maker. I have so many gadgets and I am just not sure I would use it enough to make it worth my while. Therefore, I generally don’t make sorbets and ice creams; just some granitas here and there. However, gelatin is great because it produces a creamy quality that you often can’t achieve without an ice cream maker. 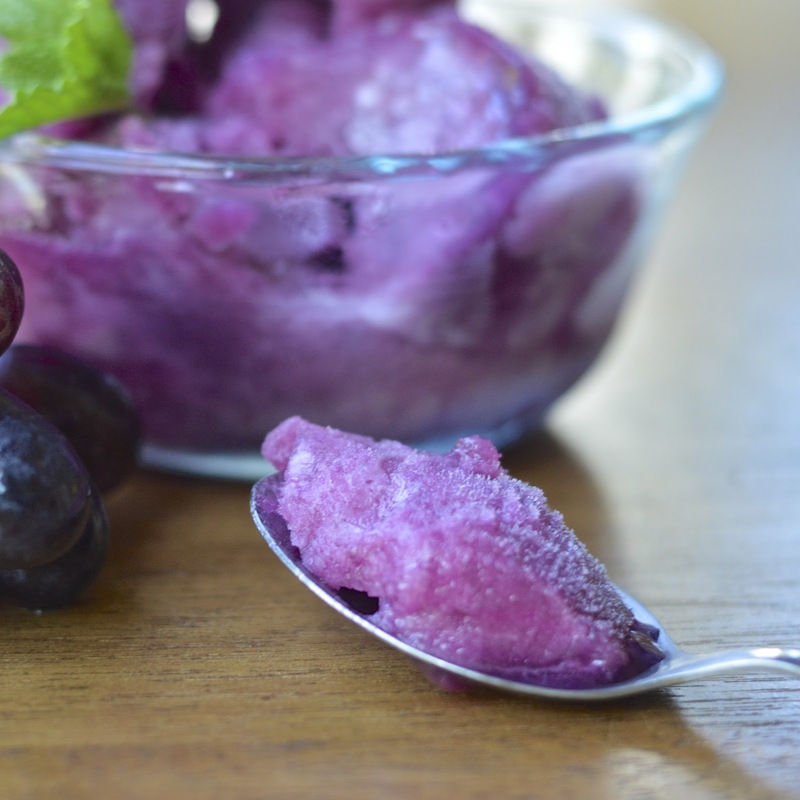 This grape sorbet recipe is super easy and I’m psyched to make an array of flavors that my family can enjoy. I am sure any variety of grape will do, but the black variety creates this deep amethyst colored treat that is also beautiful to look at. As summer winds down, this is a wonderful frosty treat on a warm and mild evening. In a medium saucepan combine water and sugar. 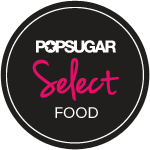 Heat on medium high until sugar has dissolved. Add grapes and cook on high until grapes start to burst (about 5 minutes - it's OK if it boils). Remove from heat and take an immersion blender to blend the grapes into chunks (do not completely puree grapes). Pour grape mixture through a sieve and gently press on solids to extract the liquid. Take 2 1/2 cups of the grape syrup and pour into a medium saucepan. Add gelatin and heat on low and whisk until gelatin has completely dissolved. Stir in lemon juice. Pour mixture into an 8"x8" pan and place in the freezer. When sorbet is partly frozen, mix it up and then spread flat again. Freeze until solid and ready to eat. Found you through Tasteologie. The purpleness of this dish caught my eye. Looks delish! Thank you - I was delighted with it's deep amethyst color! 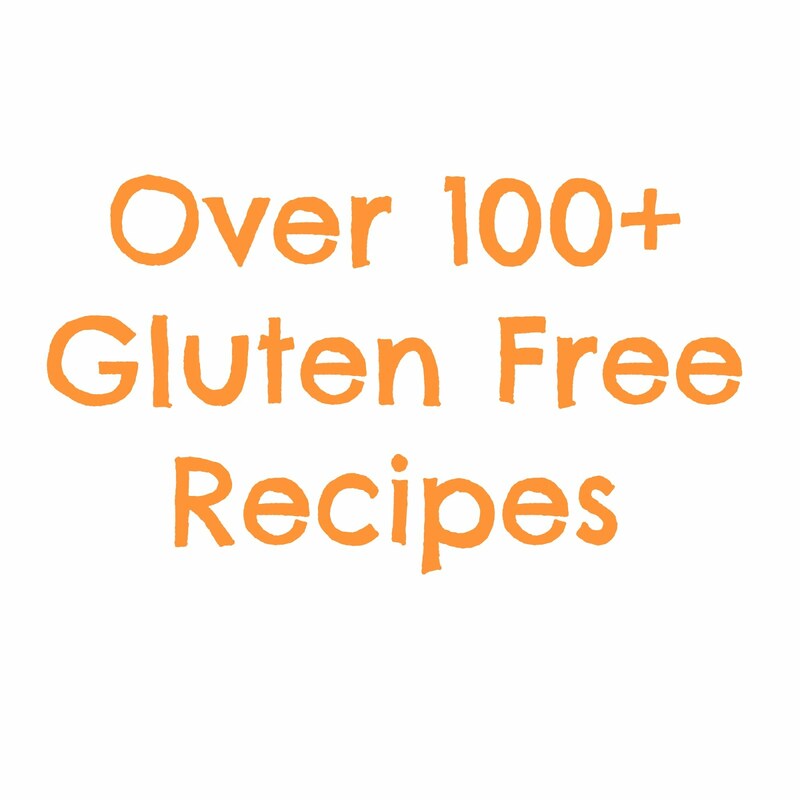 Okay grape is one of my favorites, so I've been trying to nail down the perfect recipe.